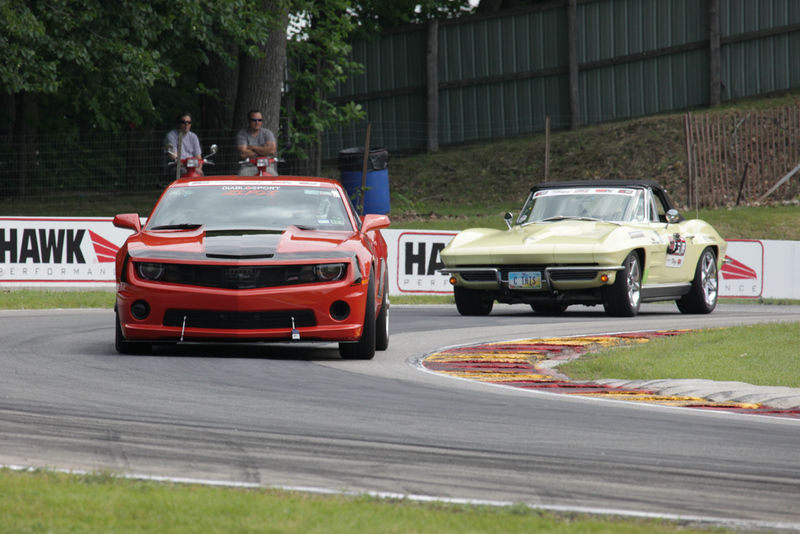 OPTIMA Faceoff at Road America Awards – A Hot Rod Wins! The racing all year leads to this event at Spring Mountain Ranch in Pahrump, NV. It's the best cars from SEMA on the track, not an event to miss! 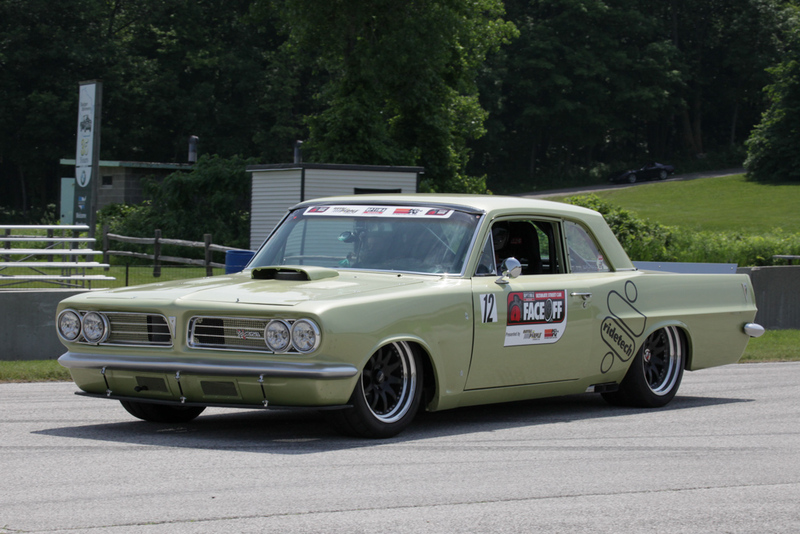 June 25, 2013 (MILWAUKEE) – The OPTIMA® Faceoff at Road America, presented by Royal Purple and K&N Filters, returned to Elkhart Lake, Wisconsin, this past weekend with more than 70 participants. The event, which will be showcased on television later this fall, kicked-off on Friday, June 21 at Johnson Controls Headquarters with a car show and charitable OPTIMA Build-A-Bike event benefiting Milwaukee area Boys & Girls Clubs and Neighborhood House of Milwaukee. The Faceoff at Road America is a Regional Qualifier event leading up to OPTIMA’s Ultimate Street Car Invitational, to be held in Pahrump, NV, after the SEMA show in early November. The driving and fun began Saturday as all of the Faceoff participants drove more than 60 miles through Wisconsin’s scenic Kettle Moraine State Park to the Road America facility in the Detroit Speed Road Rally. Once there, Faceoff enthusiasts had a chance to see A.J. Allmendinger win the NASCAR Nationwide series race. On Sunday, all 71 Faceoff participants got on the track to test their cars and driving skills. 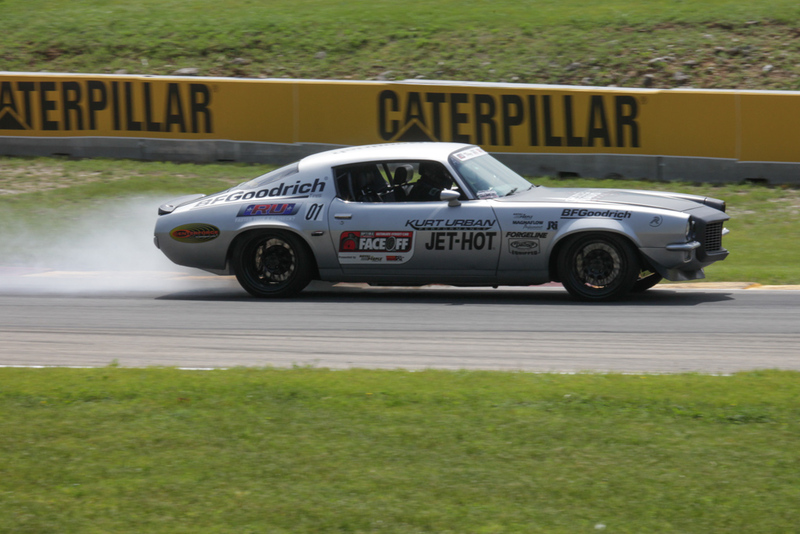 The BFGoodrich Hot Lap Challenge segment winner was Todd Rumpke (2006 Chevy Corvette Z06). The Wilwood Disc Brakes Speed Stop Challenge segment winner was Bret Voelkel (1933 Ford Coupe). 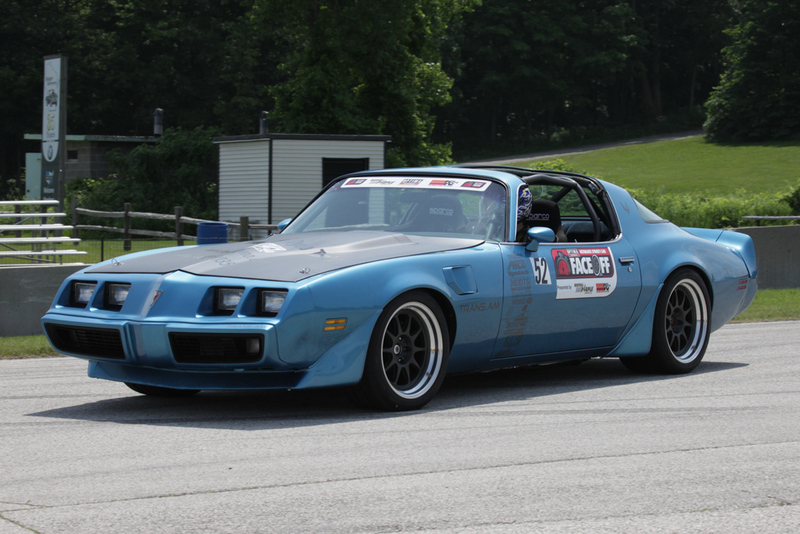 The Ridetech Street Challenge Autocross segment winner was Dennis Prunty (1981 Pontiac Trans Am). A select group of industry pros also judged the Lingenfelter Performance Engineering Design Challenge, recognizing the outstanding craftsmanship of Karl Dunn’s 1968 Chevrolet Camaro above all others. Bret Voelkel’s 1933 Ford 3-window Coupe compiled the most overall points by performing well in each of the driving events. The car is a showcase for the capabilities of Ridetech, a suspension company founded by Voelkel in 1996. Bret’s skill behind the wheel, teamed with the car’s ample horsepower and capable handing, resulted in a First Place overall finish. Tying for Second Place overall were Steve Kepler (2013 Nissan GTR) and Todd Rumpke (2006 Corvette Z06). Both of these drivers also showed great skill in piloting their high-powered rides to outstanding finishes in each of the three performance driving events at the Faceoff competition. Participants traveled from all over the country to showcase their vehicle’s performance potential on the historic Road America facility. Four participants were awarded with invitations to OPTIMA’s Ultimate Street Car Invitational event, held after the SEMA show in Pahrump, NV. The selection was based not only on their vehicle’s performance, but also the spirit and attitude they showed over the course of the weekend. The recipients of these invitations are Steve Kepler (2013 Nissan GTR), John Kundrat (1964 Corvette), Damion Campbell (1963 Pontiac LeMans), and Brad Reikkoff (1981 Pontiac Trans Am). Reikkoff’s car was driven in the Faceoff by Dennis Prunty, and this will be the case once again at the Ultimate Street Car Invitational in Pahrump. Prunty is an employee of Reikkoff and assisted in the car’s build, and therefore qualifies to pilot it at the OPTIMA Ultimate Street Car Invitational. Sponsors of the 2013 OPTIMA Faceoff at Road America included presenting sponsors K&N Filters and Royal Purple. This year’s event sponsors are BFGoodrich, Detroit Speed, Lingenfelter Performance Engineering, Ridetech and Wilwood Disc Brakes. Magnaflow, Centerforce Performance Clutch and Roadster Shop were associate sponsors of the event. For a full list of results and more information on OPTIMA Ultimate Street Car events, or to purchase tickets to see the event in person, please visit www.optimainvitational.com.